The mysterious world of the unknown has always fascinated me.The exploration of the various topics is something that I will continue to research for as long as I live. However using caution, I will remain strong, courageous and show absolutely no fear. I’m often asked if I’m frightened by the paranormal. Honestly, I used to be, especially when I was a kid. My lack of understanding was basis for that. ‘Tis the reason for me eventually facing my fears and overcoming them. I do believe in respect by showing it and giving it to the spirit realm. I never provoke, nor display any form of agitation towards them. For me, it’s all about respecting both, the living and the dead…. and everything in between. By doing so, I truly feel at peace as I openly express my curiosity for the supernatural by being an author and also an artist. My expression isn’t only conveyed through words, but through other artistic media as well. There’s such passion in one’s creativity. The below image is a watercolor that I painted. Then, I added some digital effects to give it more color, making the painting more vibrant. I’ve titled it, “The Apparition”. 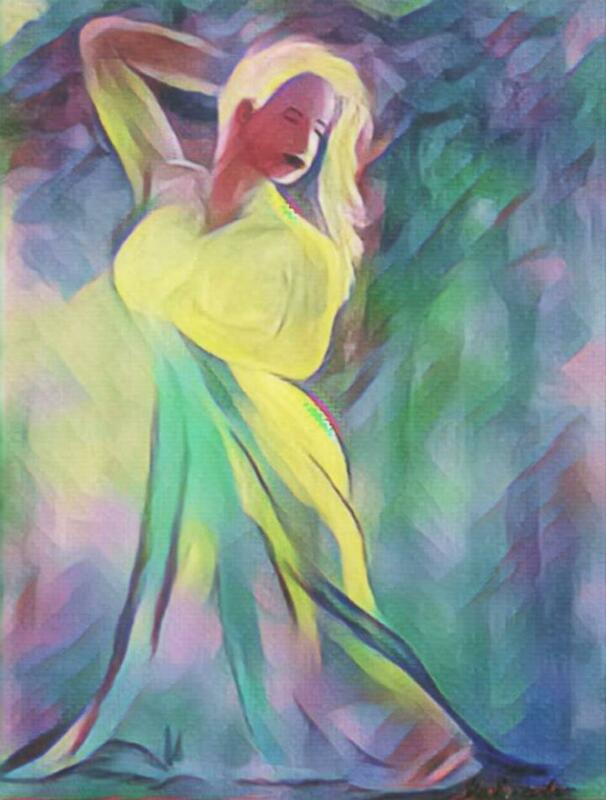 This entry was posted in Afterlife, Amazon, Art, Artist, Author, Books, Empath, Facebook, Ghosts, Hauntings, Kindle, Novels, Painting, Paperback, Paranormal, Paranormal Researcher, Poem, Poet, Poetry, Sheila Renee Parker, Spirit, Supernatural, The Apparition, The Spirit Within, Twitter, Watercolor, Writer and tagged Afterlife, Amazon, Art, Artist, Author, Books, Empath, Facebook, Ghosts, Hauntings, Instagram, Kindle, Novels, Painting, Paperback, Paranormal, Paranormal Researcher, Poem, Poet, Poetry, Sheila Renee Parker, Spirit, Supernatural, The Apparition, The Spirit Within, Twitter, Watercolor, Writer by SheilaReneeParker. Bookmark the permalink. Love the painting….. I agree, showing respect is what it’s all about. I was wondering if you had any advice to protect oneself from negativity? Thank you, glad you love the painting!